New Day at Athleta for March! What a month we have had at the Athleta Studio! The energy in our February classes has been through the roof! 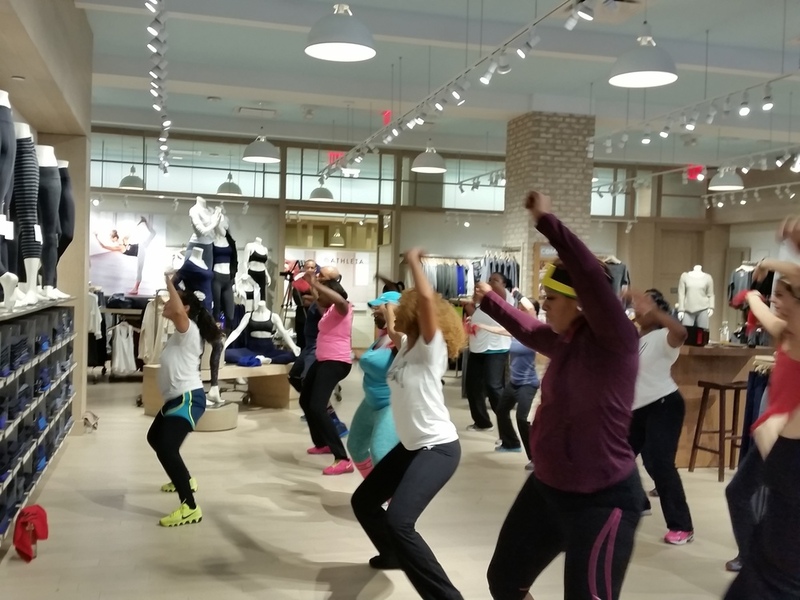 We are hoping to keep this energy going next month; we will be at Athleta on a new day for our March class series. Classes will be held on Fridays March 3rd through the 31st* from 6-7pm at the Athleta Studio (126 5th Ave., NYC). As always, class is free and open to the public however early registration is highly recommended as spaces (and the waiting list) get filled quickly. Registration opens up 2 weeks prior to the class you'd like to take (to register for 3/3 - sign up begins 2/17, for 3/17 sign up begins 3/3, etc). See details below and feel free to spread the word! *Please note: our Friday 3/10 class will be a special shopping event and invite only class. If you'd like to be added to the list for that day, contact us here. Loving the new Power Vita fabric and these Petal Salutation 7/8 Ankle Tights. Thank you Athleta! Shoutout to everyone who has been wukkin' out with us this month! Also, thank you to Athleta for my Electric Geo Sonar Capris! Kerri Lowe, the fitness blogger behind ClassPass Queen, recently attended and reviewed a Wukkout!® class at Power Studios. 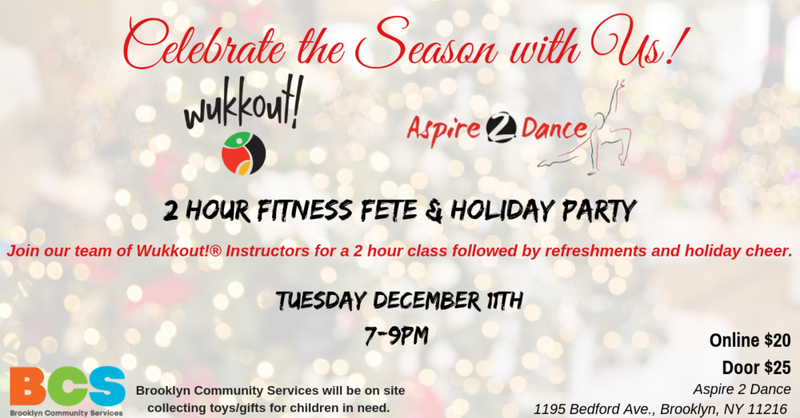 She had a great time and said, "If I'm looking for a fun dance-based class this is my favorite ClassPass pick so far!" Thanks Kerri for the awesome review! Are you a ClassPass member? If so, click here to find out how to reserve your space. Wukkout!® is now on ClassPass! Have a ClassPass membership? If so, you're in luck! My Wukkout!® at Power Studios in midtown Manhattan is now available on ClassPass! Go to the Power Studios page on ClassPass and you will find my Saturday morning, 10am class listed. Reservations open up 7 days in advance so secure your spot now! Feel free to contact me if you have any questions. See you soon! I will be teaching a FREE class at Athleta's Flatiron store on Sunday January 11th! The class will be from 9:30-10:30am with doors opening at 9am. The store will remain open after the event for private shopping until it opens to the public at 11am. Refreshments will be provided by VROU and attendees will receive a Wukkout! gift. Please RSVP to info@wukkout.com and tell a friend to tell a friend! Follow Wukkout! on Instagram for continued updates. Hope to see you there! Click here for highlights from our previous event at Athleta! Wukkout!® at Power Studios in Manhattan!